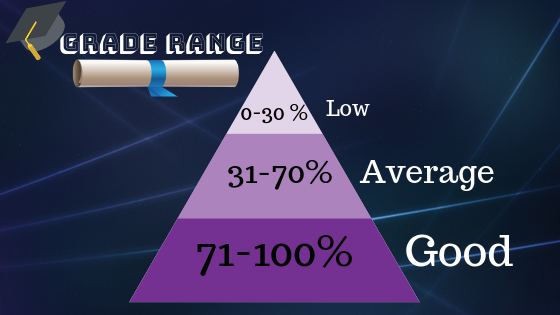 Career Aptitude Test: Assess yourself and help recruiters find you! 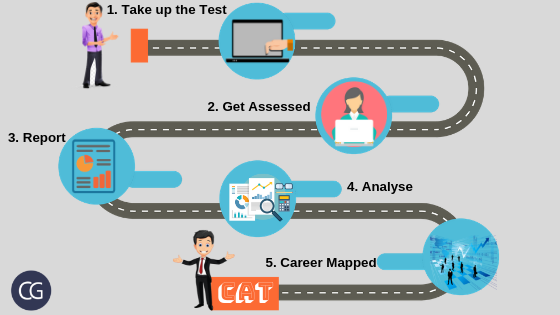 What is a Career Aptitude Test and who needs it? A Career Test determines what career option will be the best match for you, depending on your interests and competencies. 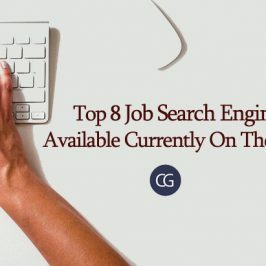 This is especially very useful for people who are lost in the rat race of finding the perfect career or are confused about what to do next with their career choice! 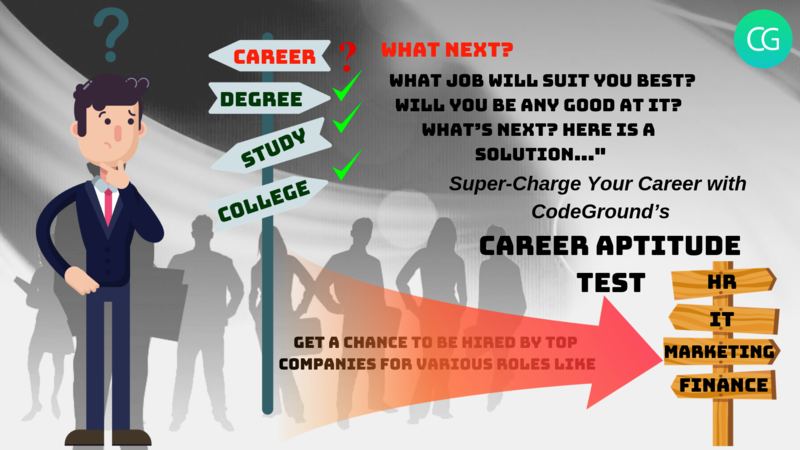 So CodeGround’s Career Aptitude Test is an innovative initiative to help freshers and job seekers alike. 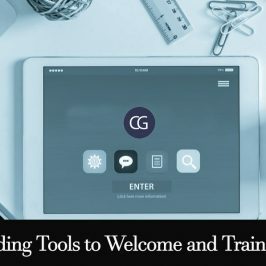 Why you should take up CodeGround’s CAT! If these are the questions popping up in your head right now, the answer is YES! Many times, even though we are passionate about something, we have apprehensions while making it our career choice. Hence, taking up a personality assessment will guide you in making this difficult decision. 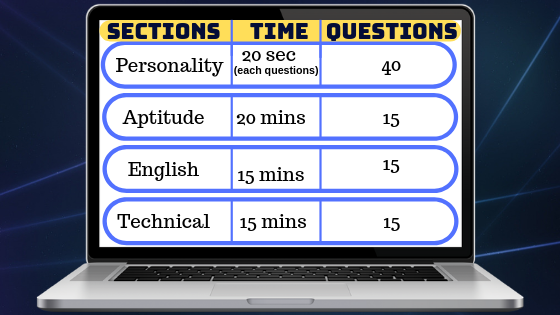 This test has many modules which will test a candidate against many aspects like personality, behaviour etc. Companies get hundreds of applications for a single job position. Filtering out the best fit for the position is a crucial and tedious task. Recruiters use various recruitment tests to do so and having a certificate which proves your job readiness makes you stand out from the crowd. 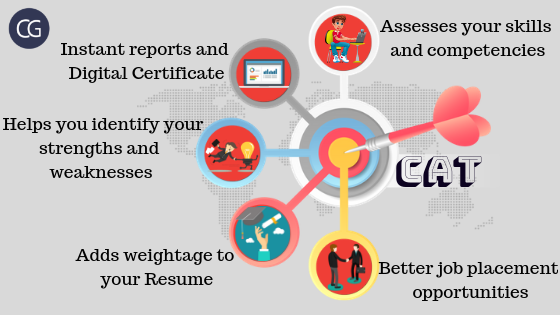 Along with providing a digital certificate, CodeGround shares your resume with potential recruiters which is an added benefit. The tests are specially designed to help you identify your strengths which are your USP and also your weaknesses which you can work on. You don’t have to wait to know your results as the results will be sent to you instantly. You will also be provided with a Digital Certificate. 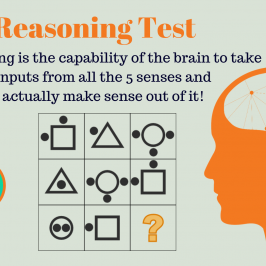 Psychometric tests allow employers to choose candidates in ways that are reasonable and unbiased. 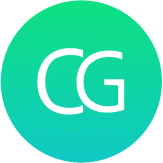 CodeGround uses the BIG5 assessment test which measures you for Openness, Conscientiousness, Extroversion, Agreeableness, and Neuroticism abbreviated as (OCEAN). This helps to understand a person’s work readiness by measuring various aspects of personality and behaviour. 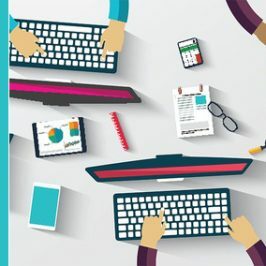 If you don’t have the right skills for a position in the corporate culture, it is highly likely that you will end up being replaced and Aptitude skills are one of the most important skills which a recruiter would look for when hiring and. Having the capacity to convey your thoughts and ideas effectively is very essential in the professional world. The English grammar and proficiency test gives you an insight into your communication skills. If you are from a technical background, having the relevant technical skills is very important to land a great job offer. The technical aptitude module of CAT measures you for the same. STEP 1: Register yourself on the platform where you will be guided in taking up the test. STEP 3: Get a report which is easy to interpret, your extensive guide to employability instantly. The scores are calculated slab wise. STEP 5: Now you are armed to go out and find work profiles which suit you best! Hiring effective candidates efficiently is a challenge for recruiters. Companies want to reduce hiring time, cost and effort. More essentially, they want to reduce hiring undeserving candidates and identify people who will be most beneficial to the company. 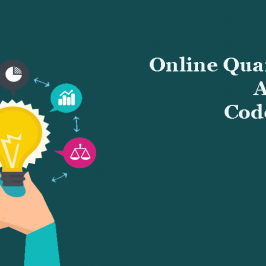 CodeGround’s CAT is a multi-dimensional versatile platform that estimates the learning abilities, skills and behaviour required for different job roles like sales, technology, marketing to name a few. It has a huge influence in making a career choice. 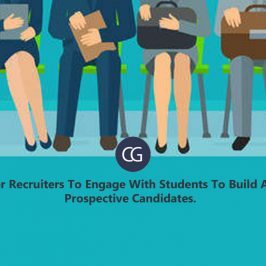 It helps recruiters and Candidates equally. TAKE UP THE TEST TODAY!